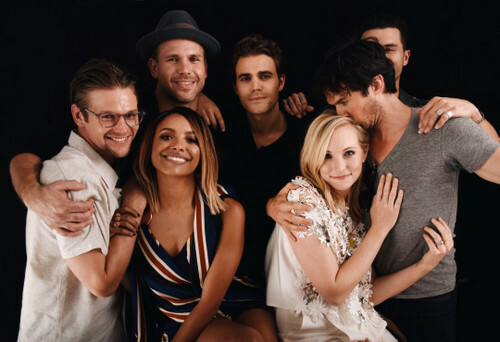 TVD Cast. . Wallpaper and background images in the The Vampire Diaries TV montrer club tagged: photo the vampire diaries comic con 2016 kat grahma candice accola paul wesley ian somerhalder michael malarkey. This The Vampire Diaries TV montrer photo might contain portrait, headshot, gros plan, and closeup.